Many of the habits created at work could potentially lead to the risk of getting fired. 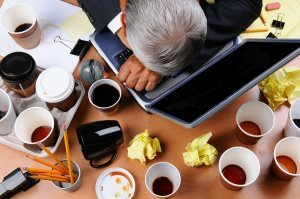 Things as superficially minor as how you take a break from your work schedule can both ruin your professional reputation and undermine your efforts to impress the higher-ups. When even widespread habits, such as making personal calls or updating Facebook at work, can lead to the loss of a job, it is important to be able to recognize some of the habits that can lead to a higher risk of being singled out for termination. 1. Any method employed to complain about your boss or your job is bad. Despite the veneer of privacy felt when using email or social media, anything you send or receive through company communications equipment is subject to review and can be formally used against you in disciplinary hearings. Considering the fact that 15 percent of company emails are gossip, it is likely that you are exchanging electronic messages with coworkers that could be damaging to your career. If you find yourself a part of the workplace gossip mill, make it a rule to remove yourself from the circumstances and avoid venting your frustrations from any company-owned devices. 2. An inability to gracefully accept criticism can reflect poorly on your job handling skills. Becoming openly angry or offensive at any negative feedback directly makes your boss’ job more difficult, potentially leading him or her to stop sharing constructive feedback with you. This will immediately affect your ability to continue progressing in your job and moving ahead in your career since your boss will be much less likely to recommend you for promotions or new business initiatives. 3. Another negative behavior that can lead to a frustrated and unimpressed boss is slacking off. While on the job, never forget that the workplace is an atmosphere of competition and simply doing the minimum work to get your job done is never acceptable. There are always other people willing to go beyond the job requirements and no one is indispensable on the job. Furthermore, wasting your company’s time by taking long lunch breaks or using your work time to perform personal errands strongly reflects a lack of dedication to your job and a willingness to steal valuable resources from the employer. 4. One of the more egregious work habits that can be unintentionally adopted is hiding things from your boss. It could be a missed deadline or poor customer feedback, but whatever it is, hiding things from your boss will only make the situation worse. Even if you think you have the situation under control, keeping information from your boss will only make the problem worse if it escalates and your boss will lose his/her trust in you if the person is forced to find out about the withheld information on his/her own.